Mack Boring & Parts Co., one of the nation’s largest distributors of marine and industrial diesel engines, marine transmissions and related powertrain products, has opened a new diesel sales and service facility in New Bedford, MA. As home to the largest commercial fishing fleet on the East Coast and convenient to a large number of industrial and recreational marine dealers, the New Bedford location will enable the company to better serve dealers, boat owners and OEM customers. The facility will be the hub for Mack Boring’s regional sales, service, parts and technical support. The Mack Boring Technical Institute, at the same address, will host dealer technical training and diesel engine maintenance seminars for boat owners. On March 15 & 16, the company is hosting a diesel engine workshop for women presented by the National Women’s Sailing Association (NWSA), a program of the Women’s Sailing Foundation dedicated to enriching the lives of women and girls through education and access to the sport of sailing. The two-day course for sailors of all abilities will cover the proper methods of performing basic engine service and emergency repairs, with students working on actual engines. Students will gain technical knowledge, confidence and skills through hands-on experience in a team environment. The fee is $425 for NWSA members, and there is a $35 discount for registrations received by January 31. (NWSA membership is $45.) Registration can be done online at womensailing.org, and the deadline is February 1. For more information, contact Claire Gerrish at 978-979-7241 or wsf@womensailing.org. To learn more about Mack Boring, visit mackboring.com. 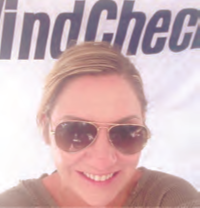 “I was at the booth that day, and I recall meeting Judi and noticing her picture taking skills,” said WindCheck Editor in Chief Chris Gill. “It’s great to have a young person win a contest like this. I am sure Sunsail will have a lifelong charterer in Judi.” Whoever Judi surprises with a share of her prize, we’re sure everyone will have a good time. You can visit Sunsail at sunsail.com. McMichael Yacht Brokers, with offices in Mamaroneck, NY and Newport, RI, is now representing the W.D. Schock Corporation’s line of nimble Harbor sailboats from Northern NJ through Rhode Island, including Long Island Sound and Long Island. Built by W.D. 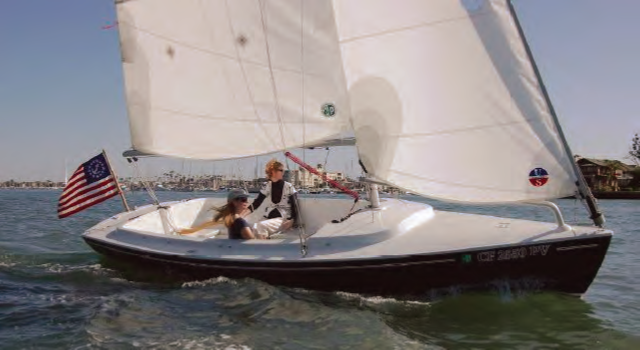 Schock in Corona, CA, the Harbor 14, Harbor 20 (pictured), Harbor 25, and Harbor 30 have distinguished themselves across the U.S. as well designed, well built, and easy-to-handle daysailers and mid-sized family cruising yachts. The Harbor 29, due to be launched later this year, will be the newest addition to the Harbor line. “In addition to being one of the country’s most highly regarded yacht brokers, McMichael Yacht Brokers owns two full-service yacht yards in Mamaroneck,” said Alexander Vucelic von Raduboj, President of W.D. Schock. 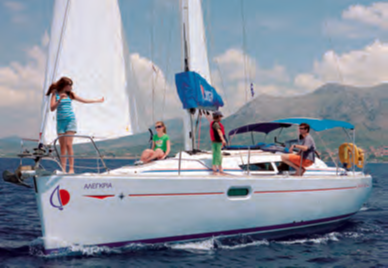 “What this means to Harbor sailboat owners is a lifetime commitment from McMichael – selling you a new Harbor sailboat and then servicing it year after year.” For more information on Harbor sailboats or McMichael Yacht Brokers, email info@mcmyacht.com or visit mcmichaelyachtbrokers.com and wdschock.com. The galley of the Essex Corinthian Yacht Club (ECYC) in Essex, CT will be operated by the Coastal Cooking Company in 2014. Based on very positive member feedback, the club renewed its agreement with Coastal Cooking, who successfully ran the galley last year. Coastal Cooking provides an extensive lunch and dinner menu throughout the season, and will deliver boxed lunches directly to boats in the harbor. Celebrating its 30th anniversary this year, ECYC overlooks the Connecticut River in the heart of Essex and maintains two moorings in Essex Harbor. ECYC welcomes members of other yacht clubs, who are invited to enjoy the galley while visiting Essex. Other reciprocal privileges include the use of the newly renovated restroom and shower facilities. The club is BYOB, and the dining room is available to rent for private events.